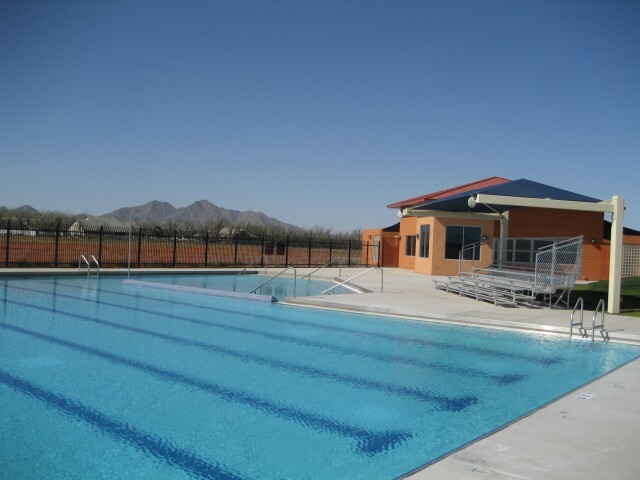 EVO Swim School offers seasonal swimming lessons, swim team, and adult group swim at this beautiful outdoor facility in Queen Creek. This pool gives us the opportunity to provide lessons and swim team at the same time! Our Queen Creek customers enjoy programming right in their own community without having to travel to our Gilbert locations. Located on Chandler Heights Rd. just west of Ellsworth Rd., this is a perfect location for anyone who lives in the far east valley. QCUSD Aquatic Complex located on Chandler Heights Rd. just west of Ellsworth Rd.